Apart from the question which source code editor is better, few issues get a more heated reception among software engineers than whether software should be patentable. This is particularly true in Europe, where the 1978 European Patent Convention (EPC) explicitly forbids patents on “computer programs as such”. Yet judicial decisions from the European Patent Office (EPO) and a failed attempt at European legislation have turned this seemingly clear phrase into a quagmire. In the 1970s, when the EPC was being drafted, a major concern was whether to recognize patents for software. 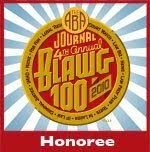 The field of computer programming was relatively new, and the debate as to whether software was an invention or an artistic work still raged fiercely in legal circles. Computer science scholars defended the position that software was essentially mathematics, while businessmen pointed out that software was being sold as a concrete product whose development required significant investment in time and creativity. The Patent Cooperation Treaty (PCT) which was being drafted at the same time, had to face this question as well. This treaty was created to streamline and centralize the patent application process: using a single patent application, preliminary protection could be obtained in all PCT member states. Because any country in the world could join the PCT, the debate over software protection was even more fierce here. Fortunately, the drafters quickly found a pragmatic excuse: since the field of computer programming was only a few decades old, limited documentation on software techniques and innovation existed. Since PCT searchers would be unable to determine if inventions in the software field were novel and inventive, it would not be prudent to allow for the application of patents for such inventions through the PCT. Thankfully the EPC drafters quickly adopted same exclusion. For reasons that will probably never become entirely clear, this exclusion was put in the treaties as “programs for computers as such”, and thus a phrase was born that would give patent attorneys and lawmakers headaches for decades to come. If the contribution to the known art resides solely in a computer program then the subject matter is not patentable in whatever manner it may be presented in the claims. For example, a claim to a computer characterised by having the particular program stored in its memory or to a process for operating a computer under control of the program would be as objectionable as a claim to the program per se or the program when recorded on magnetic tape. The chosen approach put the focus on the “contribution to the known art”, basically the new part of the invention. This provided a way to draw a clear line between hardware and software. In most cases, a software-related invention would be provided as a computer program to be loaded on to an existing computer. With this approach, such an invention could be rejected regardless of the merits of the innovation: it was software and therefore unpatentable. This strict interpretation prevented patenting of most software-related inventions. However, after 1985 the approach changed: rather than looking solely at the contribution, the EPO decided it would be more appropriate to examine the effect of the invention as a whole. If that effect represented a technological advance, the invention would be patentable in principle. In other words, it did not matter any more whether the invention was built in software or using dedicated hardware. What mattered was the result: was there a “technical effect”? Now, software innovations could be patented, as long as they were part of a concrete apparatus – say, a mobile phone – that benefited from the innovation. This helped stimulate innovation on the GSM standard for mobile telephony and MPEG standards for digital audio and video. Still, software claims were routinely rejected as being obviously “software as such”. This in striking contrast to the US, where “anything under the sun that is made by men” was patentable as of the early 1980s, provided the patent attorney could write it down in sufficiently dense and technical-sounding language. Another effect of the “software as such” exclusion became increasingly important in the 1990s. Inventions could only be patented in the form of an actual device. One could patent a mobile phone but not the software that implemented the invention embodied in that phone. This was a problem for many applicants, as they could not prevent others from distributing the software by itself. Only if the software was loaded onto a phone would their patent be useful. This severely limited the value of European patents for software companies like IBM, and a significant push for patentability of “software by itself” began. The push for increased patentability of software culminated in two 1998 decisions of the EPO’s Board of Appeals. Reasoning that the exclusion on “software as such” was aimed at preventing patents on non-technical items (as it was listed among non-technical items in the EPC), the Boards decided that patents on software were possible, provided the software somehow realized a specific technical result. What’s more, such patents could be obtained for the software itself, since “technical software” was not “software as such” even when decoupled from actual devices such as phones or televisions. Just in time for the internet and e-commerce hype, the decision caused a massive boom in the number of software-related European patents – most of which turned out afterwards to be hardly novel, proving that the original intent behind the exception wasn’t a bad one after all. With this interpretation, many argued that the EPO had slavishly adopted the “anything under the sun” US view. This wasn’t intended as a compliment: in the USA anything under the sun was being patented: the USPTO granted no less than 145,000 patents on software inventions in the late nineties and early naughties. The quality of these patents was notoriously low, thanks to nonexistent prior art databases and a self-imposed limit of about eight hours for examiners to search and judge a patent application. Still, many of these patents were upheld in courts and actively enforced, thus proving to many that software patents were a significant threat to innovation in the field of software. European software engineers, who had regular laughs about the silly software patent of the week coming out of the USA, felt safe from this threat because the EPC quite clearly forbade software patents. Two events thus caused quite some consternation: first, the revision of the EPC which aimed to delete the whole exclusionary paragraph, and second a European Directive that attempted to do the same thing shortly after the revision was refused. In 1998, a diplomatic conference was called to revise the 1973 European Patent Convention into what would become “EPC 2000”. Among many revisions there was a proposal to delete the exclusion on software as such. The rationale: the Board’s case law on “technical software” had made it clear the exclusion was no longer relevant. If you’re reaching for the Aspirin by now, you are in good company. First, the Board argues that the EPC allows for patents on technical software despite the “software as such” article. Second, the diplomats propose to drop this very article because it is outdated now that the EPO’s Board has ruled software as such is patentable. Needless to say, the proposal met with significant resistance and was dropped after even a so-called “second basket” could not agree on how to redraft the provision. And that was the end of it. Or so everyone thought. In 2002, shortly after the diplomats had quietly shelved the amendment to the EPC, the European Commission suddenly proposed a Directive to define when “computer-implemented inventions” ("CII") would be patentable. This was somewhat surprising, as the European Community had struggled with patent law for almost as long as it existed. The European Patent Convention is actually not an instrument of European Community law but a separate treaty between individual countries – born out of the Community’s inability to agree on a single European patent for over thirty years. For the Commission to thus come up with a Directive to regulate an obscure part of patent law where they couldn’t even agree on the most basic principles was remarkable to say the least. Even more remarkable was the contents of the draft Directive. It proposed to codify the EPO’s 1998 interpretation of “software as such”, thus forcing every Community member state to accept a reading of patent law that was controversial even at the EPO and the industry, and which contradicted case law in several member states. And then, the internet got word of the proposal. Remember those software engineers that felt safe from silly US software patents? Well, they all read on the internet that Europe would “legalize software patents” and acted immediately: this had to be stopped immediately. The European software industry had operated successfully for decades without patent protection, they argued. Many of them were small or medium enterprises (SMEs) that lacked the funding to apply for patents or to pay the royalties that they feared patent holders would demand. Academics argued the economic effect of patents in the software field was unproven. The subject was particularly close to home for the open source movement, which was founded on the belief that software should be freely usable for all and that intellectual property rights that limit this freedom should be outlawed. This grass-roots movement had in the past decades quickly picked up steam and produced some of the finest software in use today, all available for free with unlimited usage rights. The software that serves as the backbone of the Internet is open source software, and most consumer electronics devices these days also largely rely on open source software. The open source model relies on copyright law to protect its beliefs. Open source software is made available under a number of licenses, most notably the GNU General Public License or GPL which requires contributors to the software to release their changes and extensions as open source as well. These licenses ensure the continued availability of the software as open source. More importantly, copyright law only protects the actual code, not the underlying algorithms or principles. This allowed developers to legally create open source alternatives to popular software such as the Microsoft Office suite. As long as they did not copy any actual source code, they would not infringe any copyrights of Microsoft or others. But with patents, this is no longer possible. Patents do protect algorithms and principles. If a developer creates a program that contains a patented solution, he infringes the patent even if he has never seen the patent or the original invention. Thus, patents represent a serious threat to the open source model: companies that feel threatened by open source competitors can use patents to stop these freely available alternatives, and there’s nothing an open source developer can do to prevent this. Most of these developers work as individuals, small-knit groups or SME companies and have no resources to research patents, let alone to defend themselves against allegations of infringement. Thus, some of the most intensive lobbying by grass-roots movements ever seen began. Most of the opposition organized itself around the so-called Foundation for a Free Information Infrastructure (FFII), a German non-profit organization that made available tons of documentation, legal arguments, talking points and promotional materials for software engineers. The movement scored a great initial success: on 24 September 2003, they convinced the European Parliament to turn the directive on its head: any invention involving data processing would now be excluded from patentability regardless of its technological nature. Moreover, patent applications for software-related inventions would have to contain a complete implementation of the invention in source code form, which would have to be licensed freely once the patent would run out. There was also a blanket rule to prevent patents from being used to stop interoperability between computer systems. This caused an outcry from many European patent holders, who feared that some two-thirds of their patent portfolio would suddenly become invalid under this approach. Data processing and interoperability are extremely basic concepts, and if those cannot be covered by patents then one might as well have no patents at all. Moreover, the proposal also reversed the “technical effect” doctrine that was in place since the mid-1980s. Innovations in mobile phones or telephony – these days almost entirely relying on software for new features – would lose their patented status. The European lawmaking process is extremely complex. The Commission can propose Directives, which require Community member states to harmonize their national laws in a particular way. Such proposals must be approved by the Parliament and the Council of Ministers before they take effect. So now everyone turned to the Council of Ministers, and this time it was industry that scored a win: lobbyists managed to convince the Council of Ministers to draft a “compromise” version of the Directive which essentially reversed all of Parliament’s changes and again provided for patents on “technical software”. The behind-the-screen lobbying and rumours of shady deals prompted FFII supporters to come out with “No banana Union – no software patents!” placards during a protest rally in Brussels – with free bananas of course. The debate and the lobbying now again focused on the European Parliament, which had to make the next move: accept the Council’s compromise, propose new changes or reject the Directive? Further lobbying from both sides culminated in various ineffective proposals, e-mail bombardments to Parliament members, mutual accusations of undemocratic back room deals, national parliaments publicly fighting with their ministers and over 60,000 Google hits on “software patent”, most of them quite negative. On 6 July 2005, the European Parliament decided it had had enough and scrapped the whole thing with 648 of 729 votes in favour. Both parties regarded the decision as a win: FFII and friends had “prevented European software patents”, and pro-patent lobbyists were happy that no patent-unfriendly rules had been passed. Meanwhile, back at the European Patent Office more and more patent examiners were unhappy with the case law its appeal boards had generated. The EPO is experiencing a severe backlog thanks to the huge number of software-related patent applications it received in the past nine years. Reversal of the ruling is unlikely to happen – especially now that the EPO’s Enlarged Board of Appeals essentially said there is no legal problem with the EPO approach on software patents, allowing the Boards to continue treating “technical software by itself” as something different from “computer programs as such”. However, a series of cases by the Board of Appeals provided the much-desired blunt instrument to get rid of the influx of US-style software patents. The criterion of “inventive step” was strengthened significantly, allowing for easy refusals of most software or e-commerce patent applications. While no doubt bad patents are still issued, the number is significantly lower than in the early 2000s. In the various European countries, the situation is rather diffuse. Courts in a few countries, most notably Germany, have recognized the EPO interpretation as legally valid. The British courts however have taken a different interpretation. Most other countries haven’t addressed the issue at all, so no one knows how European patents on software inventions will be treated there. For the European Commission, the issue turned out to be such a mess that a new directive is unlikely to be proposed any time soon. The US is slowly moving in a similar directions. Recent court decisions, most notably the Mayo and Bilski cases have significantly limited the “anything under the sun” criteria and raised the notoriously low standard for patentability. Official USPTO policy now is that merely saying “using a computer” does not make something patentable, in stark contrast to the late 1990s where that was always essentially the argument. How this will pan out in the US courts remains to be seen. 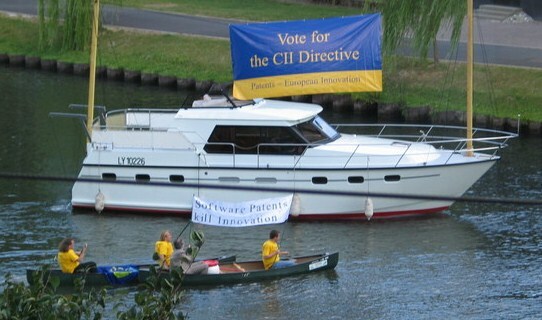 In the final stages of the software patent debate, lobbyists both in favour and against the Directive took to the waters to make their point towards the European Parliament. A disclaimer: from 2004-2005, in the hot times of the battle described in this article, I was vice-president of the FFII. "armed mainly with a battery of unsupported assertions, religiously-held beliefs and appeals to self-evident truth": hum hum Jeremy, this is quite easy to disqualify arguments which were actually well-founded and were supported by numerous academics studies already at this time, and further confirmed by recent studies (last ones I have in mind come from Bessen & Meurer or Boldrin & Levin) or by the "thermonuclear" patent war in the field of smartphones. Nevertheless, I admit that reasoned arguments were surrounded by a communication/lobbying battle, which has its own kinds of argumentation. "For reasons that will probably never become entirely clear, this exclusion was put in the treaties as “programs for computers as such”: actually the reasons for the "as such" wording have been described in several papers from Justine Pila. "This helped stimulate innovation on the GSM standard for mobile telephony and MPEG standards for digital audio and video. ": I'm sorry but it cannot be said that without this first step in patentability of software, innovation would not have been fostered less, as much or better than with it. This is only speculation. "intellectual property rights that limit this freedom should be outlawed […] open source model relies on copyright law": there is some kind of contradiction here, merely due to the fact that "intellectual property" is deceiving. Better say: "patents rights that limit this freedom should be outlawed". Finally for a detailed analysis of how software patents could be spurred by current proposals for a unitary patent and a unified patent court, I've published How the thermonuclear patent war would explode in Europe with the unitary patent. @Gibus -- thanks for your comment. I should clarify that, when I wrote of people being "armed mainly with a battery of unsupported assertions, religiously-held beliefs and appeals to self-evident truth", that criticism was directed at both sides of the debate and not just at yours! There were indeed some serious and even useful studies, but my impression was that this debate was not an evidence-based exercise. Or, as Gibus will doubtlessly understand with less trouble: "qui s'excuse s'accuse". I wasn't excusing myself -- I was pointing out what I had actually said. Were you there when the debate was at its height? 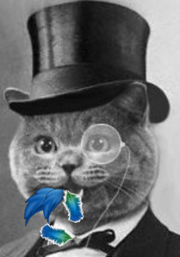 Or perhaps you found some genteel corner of it where learned discussion was taking place as to the finer points of the research papers from which support for either side was being gleaned? I seem to recall a good deal of vitriol at the time, as evidenced by a variety of angry and ill-conceived expressions of abuse which might have found their way on to this blog had its comments facility not been moderated. Jeremy, I didn't mean you...I meant Gibus, and how he felt personally targeted by your comment. Somehow he felt that the shoe fitted him. I remember the abuse well, and occasionally was on the receiving end of some of it...I always felt that FFII lost a great many potential allies by antagonising several innocent bystanders, starting with the EPO's staff. Mr. Engelfriet's piece rightly points at the fact that EPO examiners, and even managers, always were a great deal more reluctant to grant patents in that field than the Boards of Appeal. It should be added that, contrary to popular conspiracy theories, the case law of the BoA was hardly dictated with EPO management, which during that whole period was a lot more concerned with reducing the backlog of patent applications than with opening the door to tens of thousands of additional patent applications to that backlog. Sorry, I misunderstood. I'm so used to people shooting at me that I forget that other people commenting on Katposts are also targets from time to time! "In the meantime, no politician is going to touch the issue with a bargepole for the foreseeable future"
They do, it is called the Unitary Patent. The directive itself was rejected at the request of the big multinationals that asked to reject the directive, and push for a central patent court instead. Sounds like an issue I wouldn't want to touch with a 10 foot pole, and I work in the ediscovery software industry! Are you paying someone to do this? "Now you CE it, now you don't ..."
Speaking About Trade Marks: Ready My Lips? European trade marks: a house built of Plancks? Bimbo trade mark or bimbo consumers? PPI: better inside the tent, or out? CPVO Sonata T-133/08 "Lemon Symphony"